Our Mission: The Madjac Enterprises is dedicated to provide a site not only for business but also for bring New Mexico to the world. 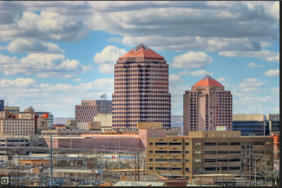 Our Business: Madjac Enterprises is located in the high desert valley of North Central New Mexico, in the heart of Albuquerque, New Mexico, United States of America. Our Customers: Madjac Enterprises does not have “customers” in the sense of the word. Our customers are actually any visitor to this site and those who participate in the site by requesting space on www.madjac.com. All requests will be reviewed by Madjac Enterprises’ webmaster for appropriateness and will be subject to other participating members approval. Privacy Statement: Madjac Enterprises believes the Internet is a wonderful tool for people to communicate and share information, products, and services. However, it is also our belief that the information we gather or display is subject to privacy rules and regulations set by the Federal, State, and local governments. Therefore, all organizations utilizing this web site will comply with the Privacy Act of 1974. Additionally, this sites does not believe in the usefulness of SPAM and therefore it is strictly forbidden. Any member found to be SPAMMING will be automatically be deleted from this site and the name of the owner and/or institution will be identified to anti-spamming organizations.